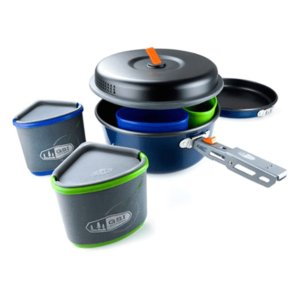 SKU: SOL0140-1240 Categories: Survival Essentials, Cookware and Stoves Brands: SOL Survive Outdoors Longer. 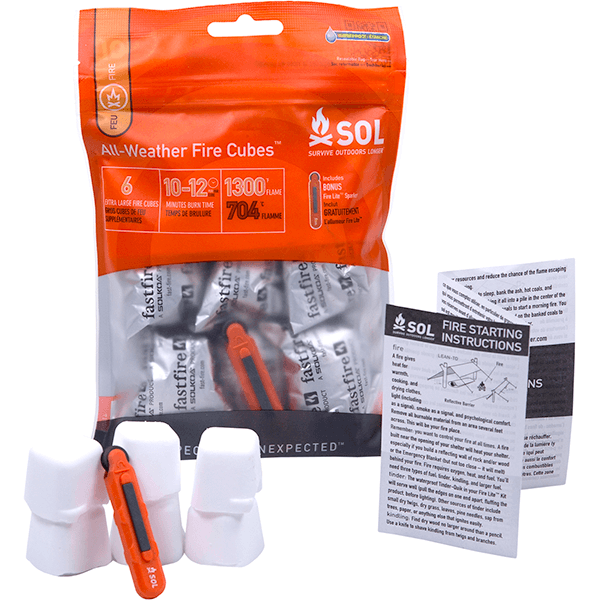 Build up to 48 fires by dividing each of the 6 included cubes into 8 smaller pieces able to burn for 2-3 minutes. 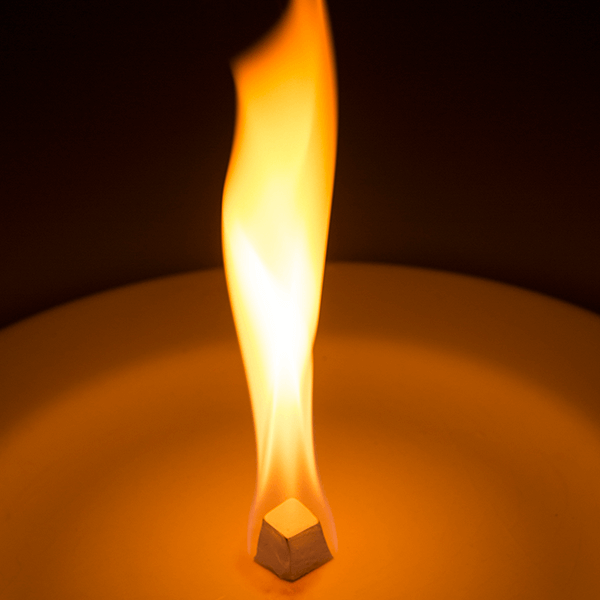 Make a roaring campfire or disinfect water, as just one fire cube burns at 1300°F, hot enough to boil 16 oz. 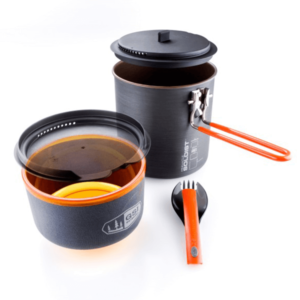 of water in just ten minutes. 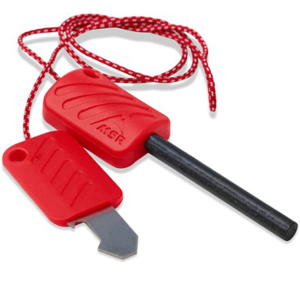 Ignite the cubes easily using this one-handed striker tested to produce up to 5,000 sparks and follow detailed fire starting instructions to build your fire. 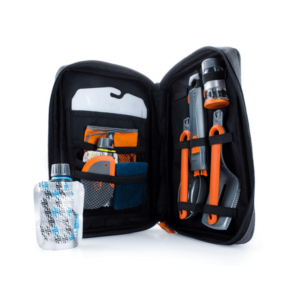 Pack the lightweight cubes in the included DryFlex storage bag, which is reusable and waterproof, or grab one individually wrapped cube for an overnight trip. 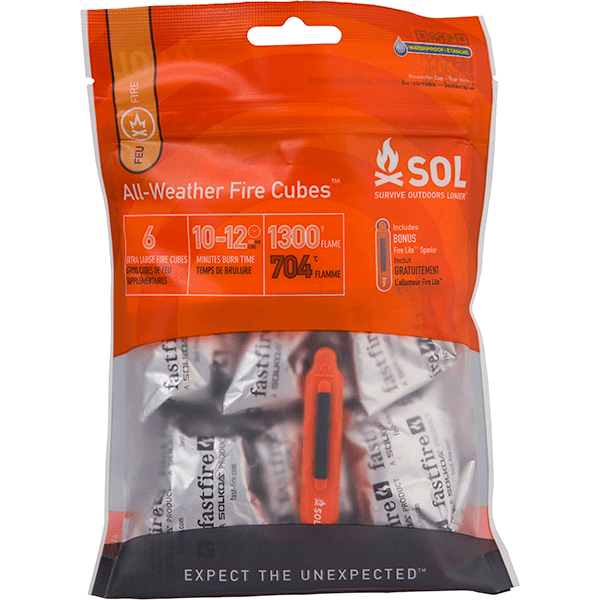 Start a fire in the rain or any conditions with these 100% waterproof fire starter cubes, which will burn through the worst wind and rain. 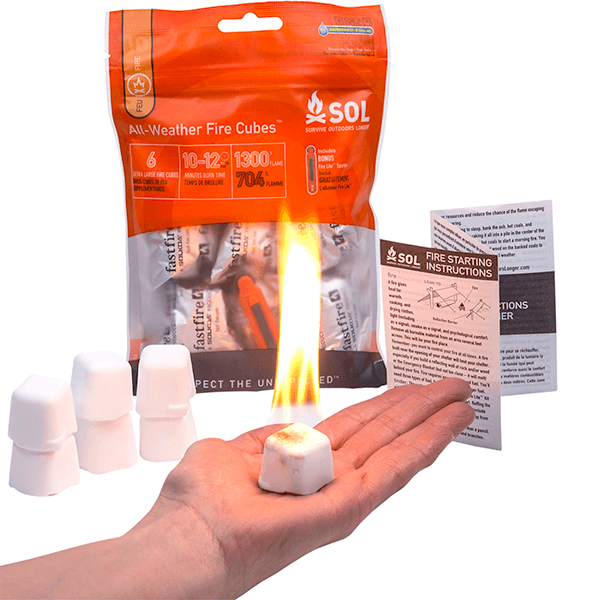 Protect the environment by burning these non-toxic, completely smokeless and odorless cubes that you can easily extinguish by smothering them and reuse later.